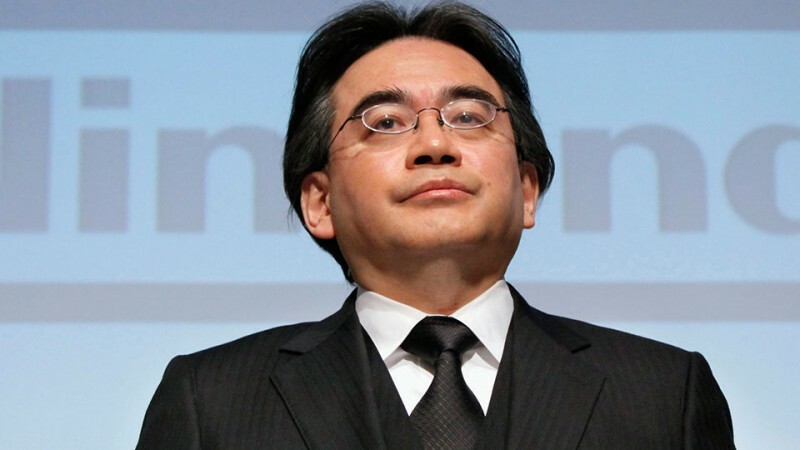 Sunday night Nintendo sent out a one sentence notice stating that their current president and CEO Satoru Iwata has died due to a “bile duct growth.” He was only 55 years old. In his wake, the entire gaming community grieved and briefly united to remember the president with condolences and reminiscing with personal memories. Gamers, gaming journalists, retailers, developers, Nintendo employees, and even Nintendo’s rivals all poured kind words to Iwata. Nintendo halted their social networks in a day of silence, opened a Miiverse page for folks who wanted to share kind words, and put up a memorial so fans could physically sign condolences at their Nintendo World Store. Fans went further with hundreds of emotional YouTube videos, thousands of social network posts, visited the Japanese Embassy in Russia and Nintendo of America to set flowers and kind words, and shed a ton of tears. Games with in-game Miiverse compatibility like Super Smash Bros. and Splatoon had tons of drawings expressing their gratitude while proudly playing their game. It’s because they were reminded of how Satoru Iwata affected their lives with decades worth of games filled with happy memories. Iwata wasn’t bred to be an executive, in fact he joined HAL Labs shortly after graduating the Tokyo Institute of Technology. From there he helped program famous Nintendo games like Balloon Fight, Kirby and Earthbound, and became the president of HAL in 1993 to help turn it around. Though he was president, he was still helping in the development of the original Super Smash Bros., its successor Melee, and even helped Game Freak on the Pokémon games. He shockingly ported the code over to the N64 for Pokémon Stadium in a week and helped compress Pokémon Gold and Silver so that Kanto was added as a post-game campaign. In 2002, Iwata became the fourth ever president of Nintendo and the first elected president in the company’s 100+ year history. While this is a regular thing for CEOs, Iwata more than most took a lot on the chin, whether it was analysts, jaded gamers, journalists or third-parties. He took over the company when the GameCube released to lukewarm reception and decided to instead make hardware on different ideals than the then-normal “graphics/power > anything else” formula. The first of those systems, the Nintendo DS, took heat when it went neck-to-neck with the PSP, but thanks to innovating ways of playing mixed with software to satisfy not only gamers but those who never played games before made the handheld sell over 150 million units. The Wii after that harbored a ton of flack from people before, during and after its stellar run, which sold better than any other Nintendo console at 100 million units. Even though the next generation didn’t garner the same fire with the 3DS stumbling out of the gate from confusing marketing and people saying it’ll fail against smartphones (it didn’t) and the Wii U’s hot water from years of lackluster sales, Nintendo has still pushed a ton of amazing software from Fire Emblem Awakening, The Legend of Zelda: A Link Between Worlds to the recently released Splatoon. 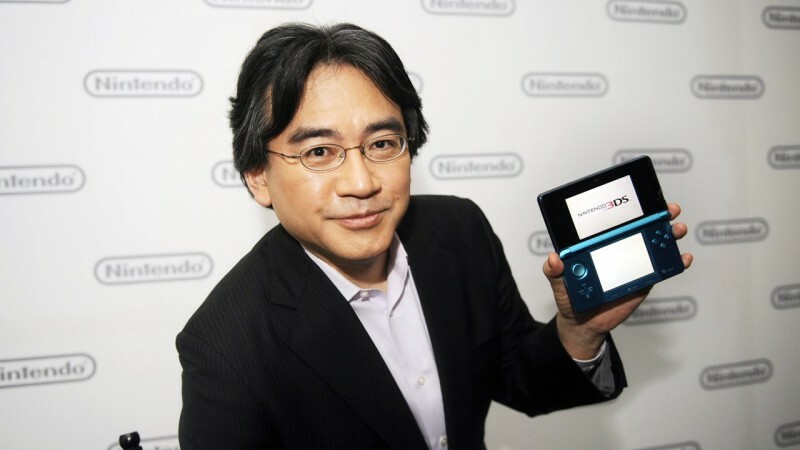 Iwata even extended Nintendo’s hand and wallet to other developers for partnerships and helped fund games like Platinum’s Bayonetta 2, Tomonobu Itagaki’s Devil’s Third (which was stuck in development hell due to THQ’s closure) and even allowed others to make games on Nintendo IPs like Omega Force/Team Ninja’s Hyrule Warriors. 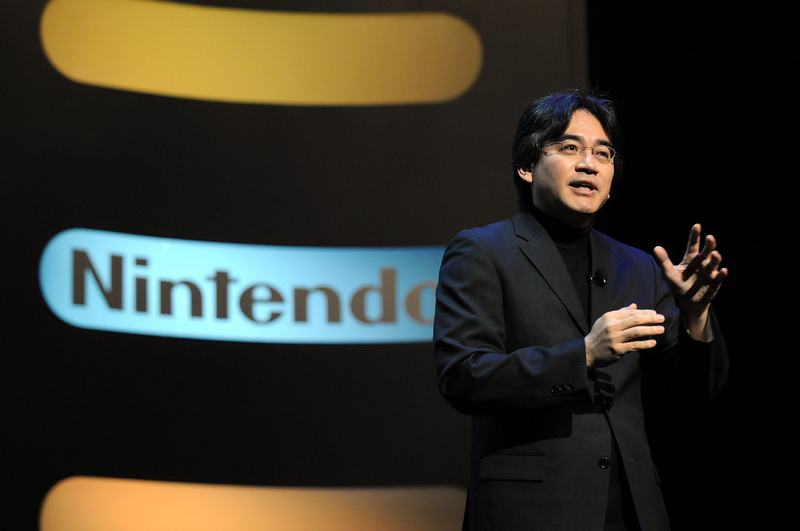 Iwata was the most casual CEO of the gaming industry thanks to traits like a calm demeanor and a sense of humor. Around the release of the Wii, Iwata started doing interviews with development leads to get more public insight on how a Nintendo game or system is developed with Iwata Asks. Then in 2011, he started the Nintendo Direct broadcasts, and personally hosted most of them for every region. After the Wii U’s launch in 2013, he started doing them regularly since they helped keep Nintendo’s name relevant during the downtimes between big shows like E3, Gamescom and the Tokyo Game Show. 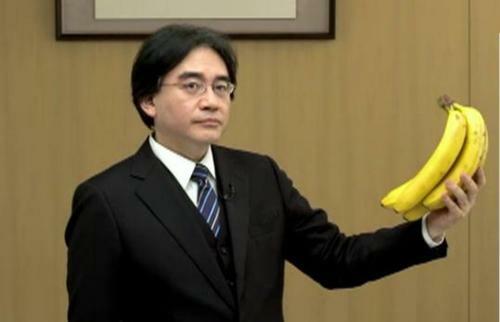 While many of these videos were straightforward, Iwata would once in a while do something silly in the videos, like become “Luigi Bros.” with Miyamoto, had bananas in his hand when introducing Donkey Kong’s segment or introduce Majora’s Mask 3D with the moon looming at him in the background. 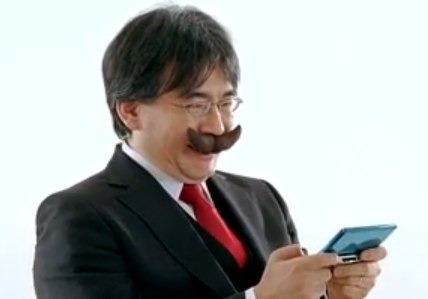 Nintendo would then step up with the bigger-budgeted Nintendo Digital Event for E3, where Iwata’s silliness shined with scenes like an over-the-top fight with Reggie or become a muppet. He didn’t just want fun games to be pushed out onto store shelves, he wanted the gamer’s entire process, from announcement to purchase to post launch, to be fun. It worked too fans enjoyed those Iwata Asks, Nintendo Directs and Digital Events. When Nintendo took its first yearly loss in decades, Iwata stepped up and instead of doing the normal “restructuring” and laying off employees, he did something no other billion-dollar company CEO would do: took the high road. He decided to take a personal paycut alongside the other highest paid execs in the company, stating that those whose job is consistently on the line could never produce fun games. Iwata worked until the end too. He opted out of going to E3 this year, but instead of listing health reasons like his surgery in 2014, he stated he couldn’t go due an investor’s meeting the week after (which he presented) among a lack of hardware announcements to debut. During it he mentioned both positives, such as the unexpected success of Splatoon, among many negatives. It’s upsetting to know one of his last public statements was a semi-apology for their lackluster E3 showing this year. Though he has left us, Iwata’s legacy will continue in the meantime with Nintendo’s various projects currently in the works. From their “Quality of Life” project that will branch them out to non-gaming forms of help and entertainment, an agreement with Universal Studios to develop Nintendo attractions to the NX, a next-generation console, each of these things and possibly more were green-lighted by Iwata himself. 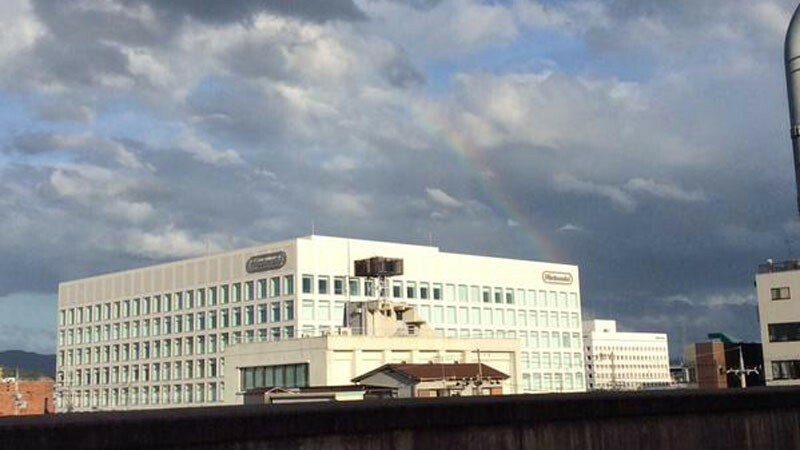 The day after the announcement of his death, Nintendo’s headquarters in Kyoto Japan was graced with a rainbow above it. Some folks believe it’s Iwata Rainbow Road to heaven, but it’s also the start of a road to healing for all the folks he touched. Nintendo will continue and create great things because they have the talent to do so. No need to wish them luck since the company's name means "Leave luck to heaven," and now it's even easier to do just that.